Tasks to bring greater awareness to the flow state, and awareness of flowing between the different planes of the body. Matt Mulligan (BA, FdA, AHEd) is a professional physical educator and founder of BODYROOTS, where he encourages freedom of movement for all. He works with people everyday to help them feel happier, healthier and fitter in body and mind. Matt's practice is grounded in over a decade spent working intensively with the moving body. 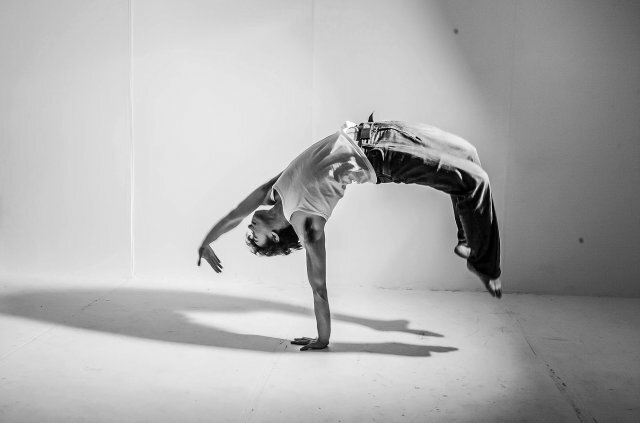 He is a conservatoire graduate of both the Northern School of Contemporary Dance and Circomedia Academy of Physical Performance, and has had a touring career as a professional dancer, acrobat and physical theatre specialist. Matt also graduated from the University of Durham with a degree in Philosophy (1st Class Hons), focusing on the body-mind connection. This workshop is (like all Movement Masterclasses) open for everybody. For questions - get in contact.